What Happens When A Christian Is Imprisoned – Part 2? Last week I wrote about the witness that Christians often have with other prisoners while in jail. 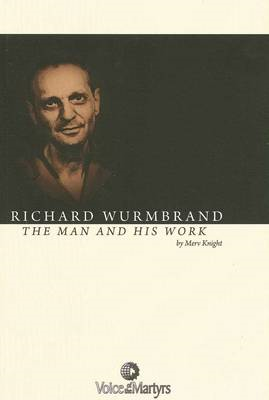 But as I was reading more in Richard Wurmbrand: The Man And His Work, by Merv Knight, I found that their witness goes much further. In fact, it often goes to the deepest, darkest corners of the prison itself . . . to the evil men who are administering the torture, cruel punishments and even death. And this is only one of the many stories that Rev. Wurmbrand tells about his captors coming to Christ. While I can certainly understand his sentiment, it stands in sharp contrast to the many Christians who are a witness to their enemies. Now, you might feel that it is right for someone like Rev. Richard Wurmbrand to love his enemies, but that it is different for us Christians in the Western world. We are called to do something else . . . like maybe administer justice, organize protests . . . or something like that. Western Christians can help us by praying for the persecutors that they may be saved. Such a prayer may seem naive. We prayed for the Communists and they tortured us the next day even worse than before the prayer. But the prayer of the Lord in Jerusalem was also “naive.” They crucified Him after this prayer. But only a few days later, they beat their breasts and five thousand were converted in one day. (Tortured for Christ, 73). This entry was posted in persecution and tagged Persecution, Rev. Richard Wurmbrand. Bookmark the permalink. 3 Responses to What Happens When A Christian Is Imprisoned – Part 2? We pray for all of you daily since about twelve years now. Some we know by name, others we only know by heart. We pray for all of you daily for about twelve years now. Some we know by name and others we haven’t met, yet. Typo: two years, not twelve….and that would be about five years now…And we, too, desire that only love will flow from our hearts.